How To Prove Evidence of CD in Civil or Matrimonial Court proceeding? Before :- Roshan Dalvi, J. Notice Motion No. 8 of 2010. D/d. 28.1.2011. For the Plaintiff :- Narayan Suvarna i/by Ansuya Dutt, Advocates. For the Defendant :- Taubon F. Irani, Advocate. Roshan Dalvi, J. - Parties are wife and husband. The Petition for divorce between the parties and other ancillary reliefs is pending trial. The wife, who is the Petitioner, is under cross-examination. The husband relies upon certain handwritten diaries of the wife as well as Compact Disk (CD) on which conversation between the wife and the husband has been recorded by the husband on certain dates. The husband has produced the transcript of the said conversation. The husband has 2 applied for verification of the handwriting of his wife in the diaries and the voice of the wife in the taped conversation on the CDs. The wife admits the handwriting in her diaries. That can be produced in evidence. Hence the husband does not press the relief in that behalf. Aside from the diary, there is one line written by the wife on a certain menu of her catering service which is also admitted by the wife. On several occasions thereafter the Defendant had occasion to record the Plaintiff's conversation where she has told the Defendant to leave her father s house, as she wanted a divorce. It is contended on behalf of the wife that the taped conversation is not relied upon as a document. It is not referred to as a document and hence the husband 3 cannot use it as a document in evidence. It is also contended by the wife that the affidavit of documents is not filed and the instrument on which the initial conversation was recorded is not produced. The husband could have recorded it on a tape recorder, audio cassette, MP-3 player, Dictaphone, computer or even on his mobile phone. That recording is not produced and inspection of that recording is not given and hence the wife contends that the CD and the transcript cannot be used by the husband. 3. The wife has neither admitted nor denied the conversation. The husband seeks to use it in her cross- examination. 4. The elementary principle of recording evidence must be first considered. Evidence consists of examination-in- chief and cross-examination. A party is required to offer for inspection and produce the documents relied upon by him in support of his case. This is required in his examination-in-chief. This contains the oral and documentary evidence. 14. Production of document on which plaintiff sues or relies. (1) Where a plaintiff sues upon a document or relies upon document in his possession or power in support of his claim, he shall enter such documents in a list, and shall produce it in Court when the plaint is presented by him and shall, at the same time deliver the document and a copy thereof, to be filed with the plaint. (2) Where any such document is not in the possession or power of the plaintiff, he shall, where possible, state in whose possession or power it is. (3) A document which ought to be produced in Court by the plaintiff when the plaint is presented, or to be entered in the list to be added or annexed to the plaint but is not produced or entered accordingly, shall not, without the leave of the Court, be received in evidence on his behalf at the hearing of the suit. (4) Nothing in this rule shall apply to document produced for the cross-examination of the plaintiff s witnesses, or handed over to a witness merely to refresh his memory. 1-A. Duty of defendant to produce documents upon which relief is claimed or relied upon by him.- (1)Where the defendant bases his defence upon a document or relies upon any document in his possession or power, in support of his defence or claim for set-off or counter-claim, he shall enter such document in a list, and shall produce it in Court when the written statement is presented by him and shall, at the same time, deliver the document and a copy thereof, to be filed with the written statement. (2) Where any such document is not in the possession or power of the defendant, he shall, wherever possible, state in whose possession or power it is. (3) A document which ought to be produced in Court by the defendant under this rule, but, is not so produced shall not, without the leave of the Court, be received in evidence on his behalf at the hearing of the suit. (b) handed over to a witness merely to refresh his memory. 1. Original documents to be produced at or before the settlement of issues.-(1) The parties or their pleader shall produce on or before the settlement of issues, all the documentary evidence in original where the copies thereof have been filed alongwith plaint or written statement. Provided that they are accompanied by an accurate list whereof prepared in such form as the High Court directs. 6. It is important to note that in sub-rule (4) of Order 7 Rule 14, sub-rule (4) Of Order 8 Rule 1-A and sub-rule (3) of Order 13 Rule 1 of the CPC, an exception is carved out for documents required to be produced for the cross-examination of the Plaintiff s witness under Order 7 Rule 14 and Order 8 Rule 4 and for the cross-examination of the witnesses of the other party (that is either party) under Order 13 Rule 1. 7. This is the most necessary incident of the exercise of cross-examination. The very purpose of the cross- examination will be frustrated, if the documents with which a witness of the other side of the Plaintiff s witness is to be confronted is shown to or inspected by that party earlier. The Court is concerned with the determination of the truth. Truth has to emerge from the evidence on record. The skill of the cross-examiner brings forth the hitherto unknown truth on record. This takes place in a cross-examination. It would be a farce to notify the party who is being cross-examined of the questions that may be asked by the cross-examiner. Consequently, in the cross-examination of a party any document can be produced and the witness under cross- examination can be confronted therewith. Similarly any document can be produced to that end for the witness to refresh his or her memory. 8. The Defendant s Advocate seeks to bring out some facts in the cross- examination before the Court Commissioner. It is not known why the Defendant should have at all produced his CDs or even transcript thereof at a stage before his affidavit of examination-in-chief and his affidavit of documents is filed. 9. Of course, the Defendant would have to offer for inspection the documents which he would be relying upon to prove his case in his own evidence. Those are essentially the documents not required for the cross- examination of the Plaintiff or his or her witnesses only. The Defendant, however, has a right and an opportunity to disprove the Plaintiff s case. It is for the Plaintiff to prove his or her case. The Plaintiff has to prove that case by oral or documentary evidence. The Plaintiff would, therefore, have to rely upon and produce all the documents in support of such case. But the Plaintiff s witness, who is to be cross-examined upon the evidence of the Plaintiff to prove the case of the Plaintiff, can be shown any document produced by the Defendant for the first time in his or her cross- examination or for refreshing his or her memory. This is the specific allowance in sub-rule (4) of Order 7 Rule 14 and Order 8 Rule 1-A. 10. However, the Defendant would have to prove the specific case made out by him in his pleadings which may be other than the case of the Plaintiff. It would be for the Defendant to produce oral and documentary evidence in support of such a case. Those documents would certainly have to be offered for inspection. Those documents would certainly have to be relied upon in the affidavit of documents. The Defendant would then alone be entitled to rely upon those documents in support of his case. This would apply to those issues, onus on which lies entirely on the Defendant. 11. But the Defendant has an additional right. That is the right of cross- examination of the Plaintiff and the Plaintiff s witnesses to disprove the case of the Plaintiff without proving his own case. The Defendant may not lead his oral evidence. The Defendant may not have to refer to rely upon, produce and offer for inspection his own documents, if he has no specific case that he might want to prove. The case of the Defendant would come up for proof after the Plaintiff has completed his or her evidence along with the evidence of his or her witnesses in support of the Plaintiff s case. 12. In this case, the Defendant may or may not have to prove the conversation to obtain any relief. He may require to only prove the conversation to disentitle the Plaintiff from obtaining the reliefs claimed by the Plaintiff. 13. For that purpose, the Defendant would be required to produce the taped conversation. The Defendant would be entitled to ask such question as he deems fit to the Plaintiff. It would be dependent upon the Plaintiff s answers that the Defendant may consider leading evidence himself or refrain from leading any evidence. The Defendant would then have to produce his oral evidence and the documentary evidence coupled with the affidavit of documents in support of his case. At that stage the Defendant, who requires to have the voice of the Plaintiff verified, would have to produce the CD and any other document, including the instrument on which the conversation was recorded. In fact, upon the CD and the transcript offered by the Defendant as his own documents to the Plaintiff, no notice to admit or deny the taped conversation is shown to have been given. That would have cleared the issue. Though Counsel on behalf of the Plaintiff has admitted the handwriting in the handwritten diaries and the menu, she has not made any such statement of admission specifically before the Court with regard to the taped conversation made available on the CD. Under those circumstances, her cross-examination on that aspect cannot be avoided and would have to be undertaken. It would be for the Plaintiff to admit or deny partly or fully the aforesaid averment in paragraph 22 of the written statement of the Defendant to avoid, or accept the cross-examination on that point. So much for the cross-examination of the Plaintiff and the reliance of the Defendant upon the taped conversation on the CDs. 14. So far as the CD itself is concerned as a documentary evidence, Counsel on behalf of the Defendant has relied upon the case of R.M. Malkani v. State of Maharashtra, AIR 1973 SC 157. In paragraph 14 of the judgment, the tape is held to be primary and direct evidence of what has been said and recorded. However, the CD sought to be relied upon by the Plaintiff is a copy obtained by the mechanical/electronic process of having the original tape recorded conversation uploaded on a computer from the original electronic record and copied on the CD. Such copy is, therefore, secondary evidence under Section 63 of the Evidence Act and, therefore, can be used only upon production of the original record of such taped conversation under Section 65B of the Evidence Act. 15. Further in the case of R.M. Malkani (supra), tape recorded conversation is held admissible if it is relevant, if the voice is identified and the accuracy of the tape recorded conversation is proved by eliminating the possibility of erasing the tape recorded conversation. It is observed to be comparable to a photograph of a relevant incident and hence admissible under Section 7 of the Evidence Act. In that case, there was no dispute about the identification of voices. The matter, which was tape-recorded was relevant to the issue. There was no controversy of any portion of the conversation being erased or mutilated. Party whose voice was recorded was given full opportunity to test the genuineness of the tape- recorded conversation. It was considered as a document admissible in evidence. 16. The three provisos set out in that judgment are important. The conversation has to be relevant; this is a case for divorce in which the taped conversation is alleged to be relating to the Defendant having been told to leave the house of the Plaintiff s father as she wants a divorce. Upon that fact it becomes relevant to consider that document. The identification of the voice can be made initially by the Plaintiff herself by admitting that that was her voice in the conversation. If that is not done, the Defendant can identify the voice himself or through any other witness. If the Defendant or the Court requires, it may get the voice identified through an expert. That would not be required in every case. The forensic evidence, prayed for by the Plaintiff, would be required depending upon the facts of the case which would emerge in the cross- examination and depending upon the requirement of any identification or further identification. The accuracy of the tape-recorded conversation is of utmost importance since the document, which is a CD having tape-recorded conversation, is liable to eraser or mutilation. It would be for the Defendant to show that it was the original recording as mentioned by the Defendant himself. This could be done by producing the initial record or the original electronic record. This original electronic record, which is primary evidence, is the instrument on which the original conversation is recorded. The Defendant has not produced that evidence. That document would be contained in such an instrument. The Defendant has not shown the mechanical/electronic process by which the CD was obtained. The Defendant has relied upon the CD per se. That, being a copy, is secondary evidence. At the stage at which the CD is sought to be produced (that is in the cross-examination of the Plaintiff), the Defendant is permitted not to produce the original electronic record. The copy of such record, being the CD, can itself be used for confrontation in the cross-examination. Much will depend upon the answers in the cross-examination by the Plaintiff. If however, the Defendant desires to set up a specific case, for which the evidence is contained in the CD, he would be required to satisfy the aforesaid three tests, more specially the test of accuracy by producing the original electronic record. 17. It may be mentioned that the tape-recorded conversation can be heard by the Court itself by playing it over. It is observed in the case of R.M. Malkani (supra) that the Court would be acting on real evidence if it treats the intonation of the words in such tape-recording being played over to the Court bearing in mind that it could be altered while admitting it in evidence. That, of course, can be done as shall be seen in another case of Kerala High Court which shall be considered presently. If the conversation were relayed on a microphone or an amplifier from the telephone and the police officers heard the same they would be able to give direct evidence of what they heard. Here the police officers gave direct evidence of what they saw and what they did and what they recorded as a result of voluntary permission granted by Dr.Motwani. The tape recorded conversation is contemporaneous relevant evidence and therefore it is admissible. That judgment further held that Articles 20(3) and 21 of the Constitution or Section 162 of the Criminal Procedure Code were also not offended by a tape- recorded evidence. 19. In the case of Pootholi Damodaran Nair v. Babu, V.K., 2005 (2) ILR 145, the Kerala High Court considered the request of a party to play a magnetic tape produced in Court. The request was turned down by the District Munsiff. The order rejecting such request was set aside holding it to be an indiscretion of the Court. The tape and the transcript were marked in evidence upon the Defendant s son having taped the conversation containing discussion between the Plaintiff and the Defendant. The tape was sought to be played in Court for the identification of the voice of the person whose voice it was professed to be and for establishing the authenticity and correctness of the recording. The learned District Munsiff rejected the application on the ground that it came after closing the evidence of the Petitioner, it was not brought out from proper custody and was not deposited in the official record. Holding that electronic record was a document under Section 3 of the Evidence Act in line with the Information Technology Act, 2000 and considering the Supreme Court judgment in the case of Ram Singh v. Col. Ram Singh, AIR 1986 SC 3, it was held that tape record of the conversation and the transcript, which were rightly admitted and marked in evidence, were required to be examined by the Court to see their genuineness as the tape record was admissible under Section 7 of the Indian Evidence Act. The conditions laid down in the judgment of the Supreme Court in Ram Singh (supra) were set out in that judgment. The very first condition is the identification of the voice in the tape record. It is rightly observed that where the voice is denied by the maker, it will require strict proof to determine whether it was really his voice. 20. The Defendant has not called upon the Plaintiff to admit or deny the voice. The Plaintiff has not admitted or denied the voice. Perhaps that would now be done in the cross-examination itself. That can be done even before the CD is marked in evidence because it is a document required to cross-examine the witness of the other side. If it is identified by the Plaintiff and admitted to be her voice, no further exercise need be done. If it is not identified by the Plaintiff, it can be identified by the Defendant. Upon such identification it would have to be marked in evidence. The verification of such identification would have to be done by the Court itself by playing the record, for which no application is yet made, but such an application has been allowed under that judgment. Of course, the accuracy of the statements would have to be proved by direct or circumstantial evidence. The proof is in the domain of the Defendant either in the cross- examination of the Plaintiff or in his own evidence. The recorded conversation could be used even to contradict the Plaintiff s case, provided its accuracy is shown. 21. It must be mentioned that evidence is to be considered from three aspects; admissibility of evidence, recording of evidence and appreciation of evidence. It is settled law that tape recorded conversation is admissible in evidence. What must be of importance is how the tape recorded conversation is to be recorded as evidence and appreciated thereafter. Recording can be in the cross-examination of the other side and/or in the evidence of the recorder himself. The appreciation of evidence would require consideration of the aforesaid three requirements; identification, relevancy and accuracy. It is left to the Defendant to pass those tests. If the tests are not passed, the tape recorded conversation would be of no use in effect ultimately. 22. That has been held in the case of Tukaram S. Dighole v. Manikrao Shivaji Kokate, in Civil Appeal No.2928 of 2008 decided on 5th February 2010. In that case a cassette placed before the Court was discarded from evidence. This was the cassette stated to have been produced from the custody of an Election Commissioner s office. It was taken to be a public document. It was held that mere production of the audio cassette even certified by the Election Commissioner is not conclusive of the fact that what is contained in the cassette was true and correct. This is on par with the certified copy of any document produced from public record. Such a document would show that it was a document filed in the public office and is a true production of whatever was filed in the public office. It however cannot prove the truth of the contents of the document merely by the production of even its certified copy by the public office as held in the case of Om Prakash Berlia v. United Trust of India, AIR 1983 Bombay 1. 23. In the case of Tukaram (supra), the Petitioner produced the VHS cassette on record. The Petitioner produced no evidence to indicate that the record was a true reproduction of its contents. In fact, the Petitioner did not produce any cogent evidence regarding the source and manner of the acquisition of the cassette and the authenticity of its contents. It was, therefore, held that it could not be read in evidence despite the fact that it could be a public document. This was, therefore, in the domain of appreciation of evidence. The authenticity of an electronic record such as a CD or a cassette would be determined by the proof of the original electronic record. This proof may be given by production of that record itself which can be compared with the CD produced by the party in a civil litigation such as the Defendant in this case or any other evidence, direct or circumstantial, which the Court would then consider, examine and appreciate. The standard of proof of such authenticity and accuracy of such an electronic record has been held in paragraph 20 of the judgment to be more stringent as compared to the other documentary evidence given its propensity for misuse by alteration, interpolation or mutilation. It is, therefore, directed to be received with caution. Consequently, in that case when the party who produced the record did not lead any evidence to prove that the cassette produced on record was a true reproduction of the original speeches by the Respondent or his agent, which he was incumbent to be proved either himself or through his witness who is the maker of the record, it was held not to be considered in evidence. 24. Counsel on behalf of the Plaintiff has relied upon the case of Lalji s/o Bansanarayan Choubey v. Jiyalal Chanvan & anr. 2009(2) Maharashtra Law Journal 565 to contend that the actual tape recorder or the instrument on which it was recorded had to be produced and the CD had to be sealed and relied upon in the Defendant s affidavit of documents before any relief can be granted in this application. The Defendant has given a copy of the CD and its transcript to the Plaintiff. The exercise of giving inspection of the document, as required by the procedure established under the CPC, is completed. The Defendant is not required to file his affidavit of documents and rely upon any specific document during the Plaintiff s cross-examination. It would be in the discretion, sagacity and wisdom of the Defendant to prove the tape recorded conversation on the CD in the manner he deems fit, provided however that the accuracy of the conversation is proved to the satisfaction of the Court for it to be considered in evidence, the admissibility of the CD notwithstanding. Each received it at the same time the one recording it in the human memory, the other upon a piece of tape. There can be no straightjacket formula . 26. Therefore, it would be vain to suggest that because the CD was not sealed prior to its production, it cannot be admissible or used in evidence. This is a civil trial. The Defendant himself has recorded the conversation and produced the CD thereof. The Defendant could not have recorded it directly on the CD. The Plaintiff had to have an electronic process on an electronic instrument to record the conversation on the CD. It is for the Plaintiff to produce it. It is for the Court to consider and appreciate it. There is no question of sealing of a conversation recorded by a party to the civil lis himself. The sealing requirement is only in criminal trials. That is because the investigating officer records certain conversation either on a telephone to which a recorder has been appended or any other instrument to record the voice of a party under investigation. The investigating officer is required to keep such document, obtained in the course of his investigation safe from it being misused or tampered by anyone else until it is produced and used in the criminal trial. He must, therefore, seal what he has recorded and keep it safe from tampering for the examination by the Court. This would be just as he would seal any other property seized by him to be produced as an article in a criminal trial. This entire procedure is not required in a civil trial and hence the argument that because it is not sealed, it cannot be used in evidence is incorrect. The case of Lalji (supra) was of a criminal trial on a dishonoured cheque under Sections 138 and 139 of the Negotiable Instruments Act. In that case origin of the conversation recorded was left doubtful. Consequently, the most important requirement of producing such an electronic record of accuracy was not satisfied. That aspect was in the domain of appreciation of evidence and not admissibility of evidence. If the recordings on the microchips were fake from the start or if the microchips were morphed before notice was issued to the TV channel, those would come to the court in that condition and in that case the question whether the microchips were genuine or fake/morphed would be another issue. But once the High Court obtained their copies there was no possibility of any tampering with the microchips from that stage. Moreover, the High Court might have felt that the TV channel with its well equipped studio/laboratory would be a much better place for the handling and conservation of such electronic articles than the High Court Registry. The Supreme Court, therefore, concluded that on the facts of the case, there was no lapse on the part of the High Court in leaving the microchips in the safe custody of the TV channel. It is, therefore, seen not to be straightjacket formula. Consequently, holding that all tape recorded conversation must be sealed without considering its intrinsic source or its custody with a party would be an exercise devoid of application of mind. 28. The dispute between the parties is not ambiguous to either of them. The ambit of evidence has, therefore, to be set out. The Defendant is entitled to rely upon the recorded conversation on the CD by the fact of production of the CD in the cross-examination of the Plaintiff. If the Plaintiff admits the contents, it would be read in evidence. If the Plaintiff disputes the contents, the Defendant would have to prove, by direct or circumstantial evidence in his own examination-in-chief, the accuracy of the recorded conversation. For that proof, the Defendant may produce the original electronic record itself. The Defendant may seek to play it before the Court to have the voice of the Plaintiff, hitherto disputed, identified in Court. The Defendant may himself identify the voice and get it produced in evidence and apply for playing it on record for the Court to appreciate the identified document being the recorded conversation on the CD. The Defendant may produce any other circumstantial evidence to prove the authenticity of the CD as he would for any other documentary evidence. The Defendant would also be entitled, but as a last resort, to have the forensic evidence to identify the voice of the Plaintiff by having the voice of the Plaintiff recorded as an admitted document and compared by an expert in the forensic laboratory to verify that voice with the voice on the taped conversation on the CDs. 29. It is argued on behalf of the Defendant that the Defendant has taken out the application well in advance for the forensic report to be obtained. The application is, of course, not premature. However, the application involves the requirement of recording of Plaintiff s voice and then comparing it with the already recorded voice on the CDs much as the verification of the admitted and disputed signatures of the parties would be. However, the Plaintiff may choose to admit the contents of the CD or whatever is stated in paragraph 22 of the Written Statement, the entire exercise sought by the Defendant would be avoided since admitted facts need not be proved. Since much would depend upon the Plaintiff s own evidence, the Plaintiff need not be taken through the exercise of having her voice recorded and then verified by the forensic expert at present. However, after the Plaintiff s cross-examination is completed and the Defendant considers production of CD as his own document and relies upon it in the affidavit of documents, the Defendant would be entitled to prove its accuracy through any of the aforesaid modes. For that purpose, the Defendant shall be entitled to prove the tape recorded conversation through the recording of the voice of the Plaintiff and having it verified by the forensic expert as prayed for by him in prayer (ii) of this Notice of Motion. Order accordingly. 30. The Notice of Motion is disposed of accordingly. 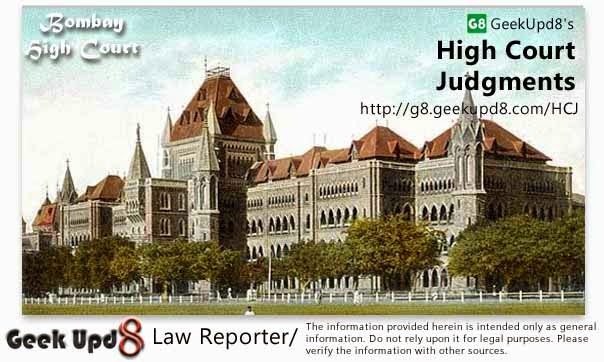 Geek Upd8 - Law Reporter: How To Prove Evidence of CD in Civil or Matrimonial Court proceeding?